Snacking is often the hardest part of dieting for a lot of people. It’s were you can either make smart choices and fuel your activity in between meal times or were you can completely destroy your diet. High protein meals and snacks keep you feeling fuller for longer. Feeling full, will help you stay away from unhealthy options and stick to your diet plan. Sticking to your diet, is the biggest key to losing fat and dropping weight in a healthy way. We have collected 26 healthy, high protein snacks for you to add into your diet. Try your favourites and set yourself up for weight loss success. Enjoy! “I came up with another snack that has quickly become an indispensable part of my pre-workout routine: fruit-sweetened, gluten-free, electrolyte-loaded, protein-rich, super awesome pre-workout pops.” Recipe from FreshPlanetFlavour. 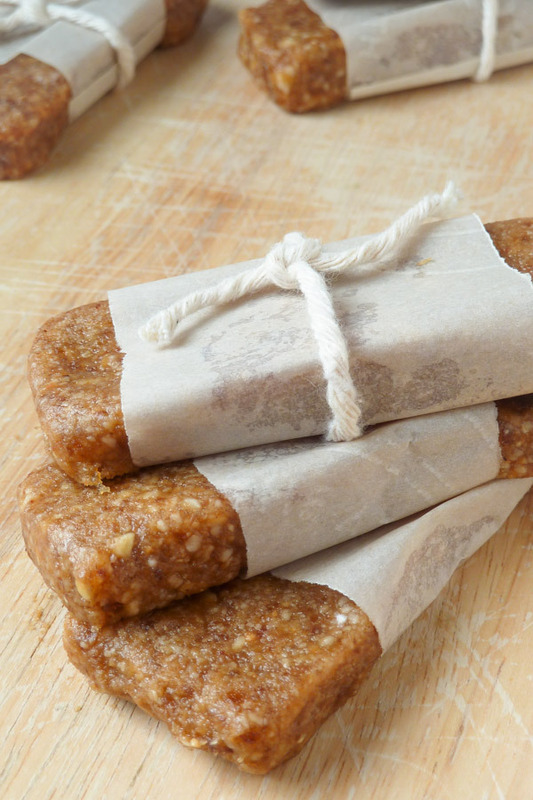 “10 minutes, 6 ingredients and no baking required for these delicious and crunchy protein bars! 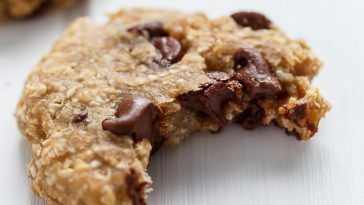 Only 2 g of sugar, 5 g of carbs, vegan & gluten free.” Recipe from ifoodreal.com. 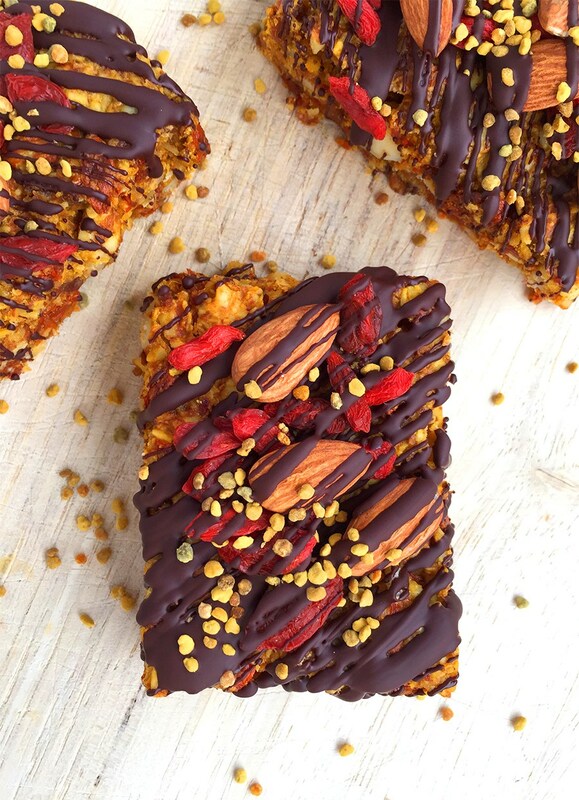 “These bars are simply made up of a mixture of fruit, nuts & seeds, making them full of fibre, protein and nutritional goodness. 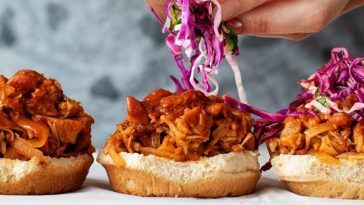 Not to mention that they are naturally gluten-free, vegan & paleo-friendly.” Recipe from Wallflowerkitchen. “Beef jerky is one of my favorite snacks, but it’s very difficult to find commercial beef jerky that isn’t made with soy sauce and sugar. Most beef jerkies contain quite a few carbs per serving, in addition to an insanely high amount of sodium. 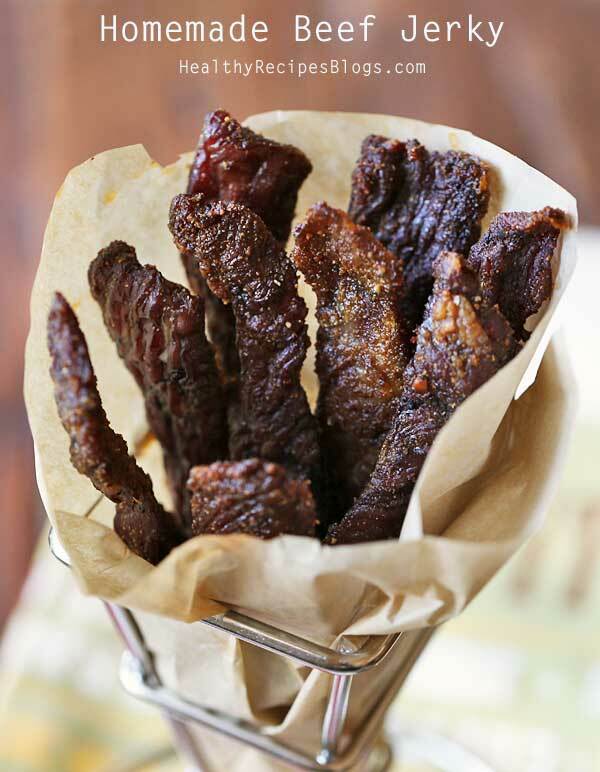 This homemade beef jerky is not only tastier than commercial versions, it’s also made with no soy sauce and no sugar.” Recipe from HealthRecipeBlogs. 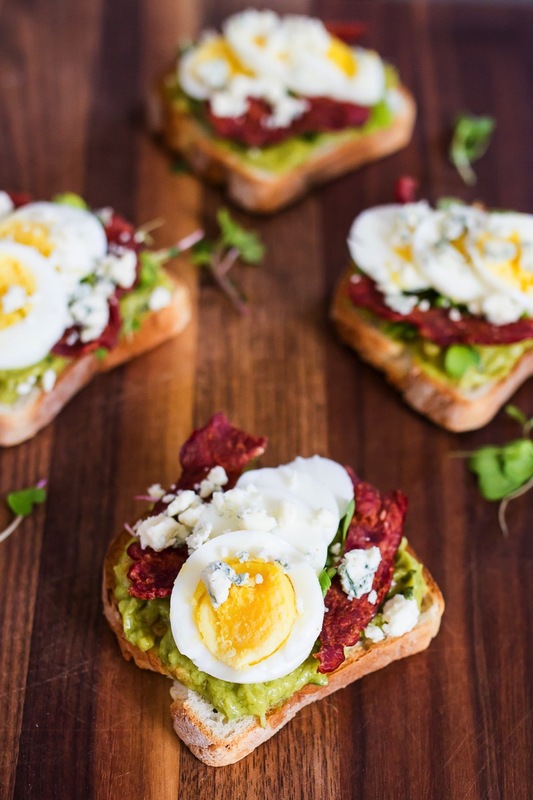 “Turn toast into lunch with this veggie-packed cobb salad avocado toast — loaded with hard boiled egg, turkey bacon, blue cheese and micro greens.” Recipe from EatingBirdFood. “These are super easy to adapt, too. 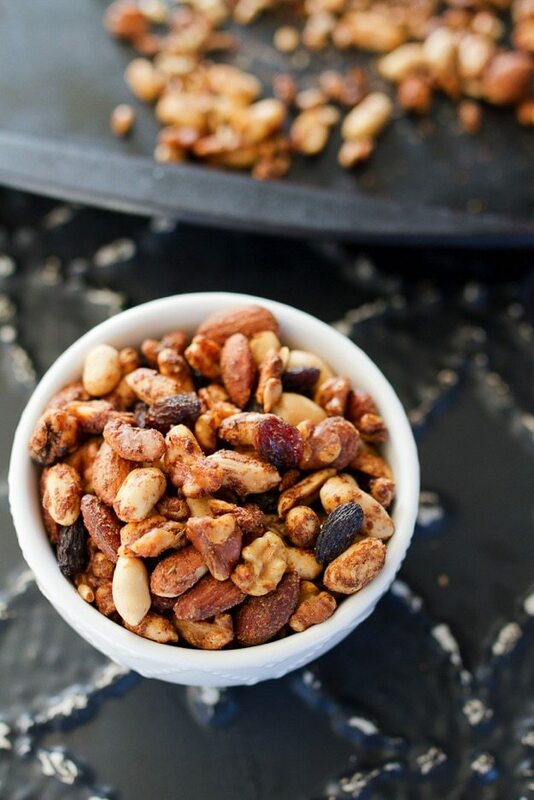 Simply use whatever nuts you like best or have on hand, and whatever dried fruit is available to substitute for the goji berries. Maybe next time I’ll add a touch of cinnamon or vanilla, but these babies are wonderful as is.” Recipe from FreshPlanetFlavour. 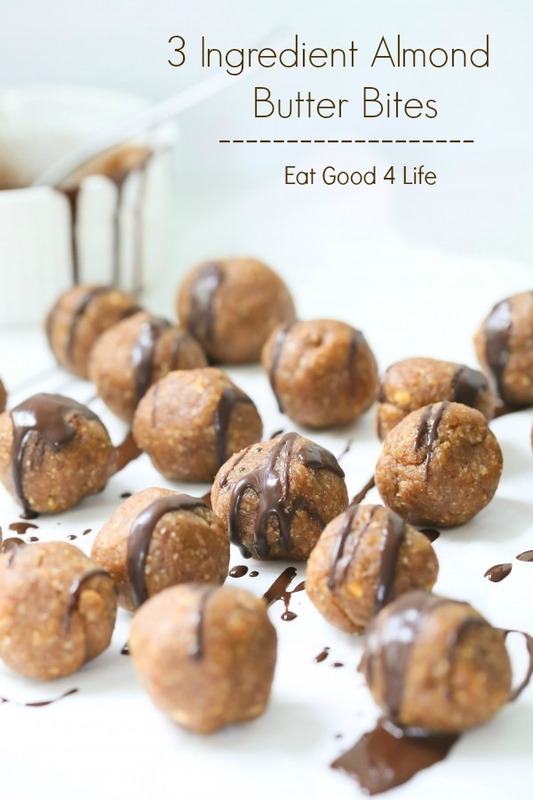 “I couldn’t wait any longer to post these 3 ingredient Almond butter bites for you. 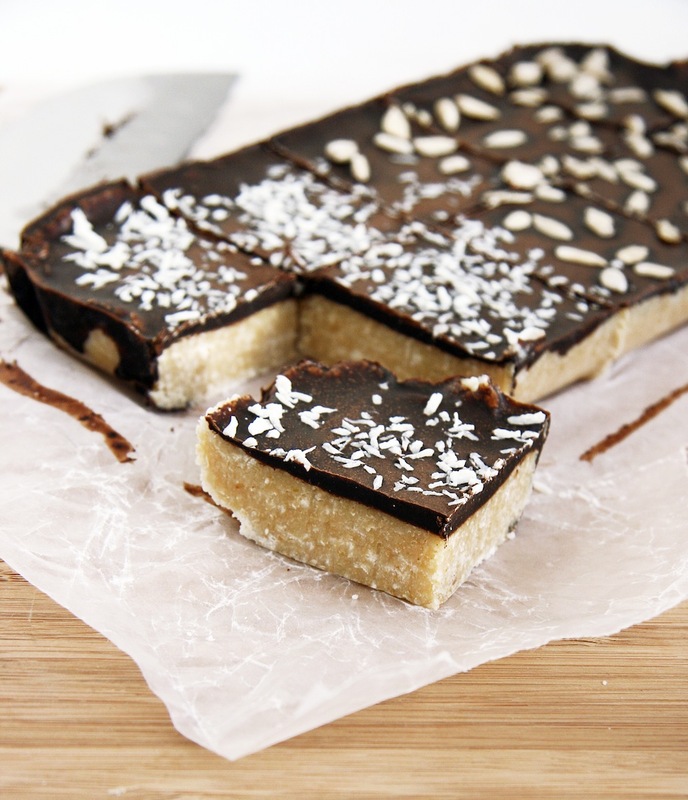 I actually made them in about 10 minutes a couple of days ago because I wanted something sweet but still healthy.” Recipe from EatGood4Life. 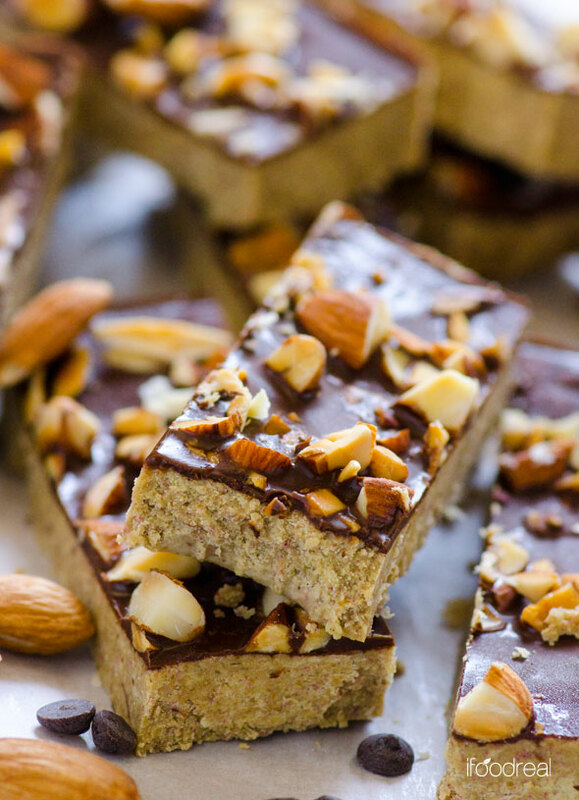 “Inspired and similar to my favourite No Bake Cashew Coconut Protein bars, this Paleo No Bake Coconut Cashew Protein fudge looks impressive but really- It’s quick and easy to whip up. 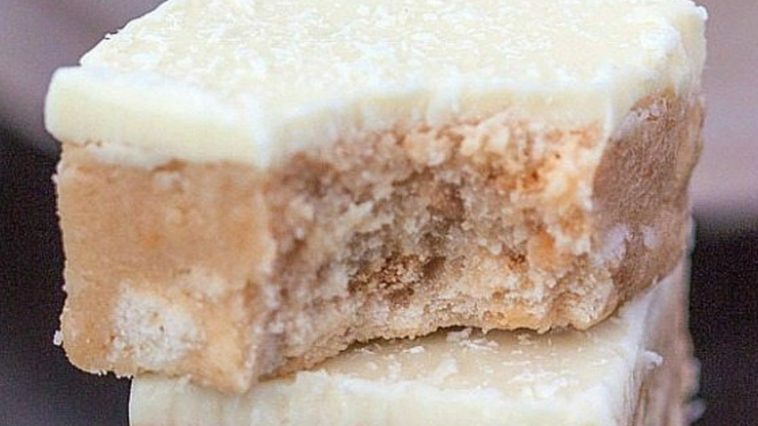 The base is made from just four key ingredients (five if you include a sweetener)- Coconut flour, chopped cashews, protein powder and a liquid of choice (I used cartoned coconut milk)”. Recipe from TheBigMansWorld. 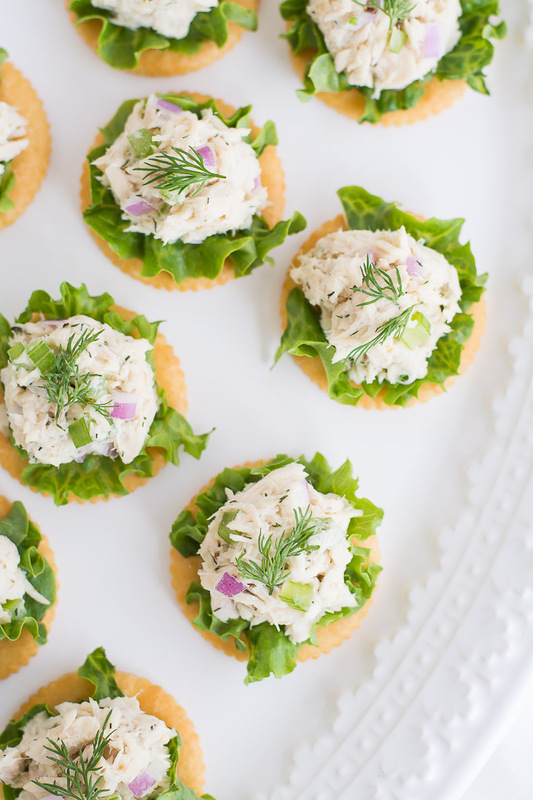 “The great thing about Tuna Salad on Crackers is that you have almost everything on hand. Both tuna and crackers are shelf stable and I think just about everyone has some mayo in their fridge. 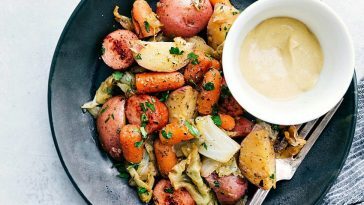 Lately I’ve been buying the mayo made with canola oil because it is like half the calories and tastes just as good.” Recipe from Garnishandglaze. “I ordered raw and grass-fed cottage cheese from a local farm and it’s the best cottage cheese I’ve ever had. I used most of it to make a lasagna (I use it in place of ricotta because it has a higher protein content). But I still had a ton leftover. 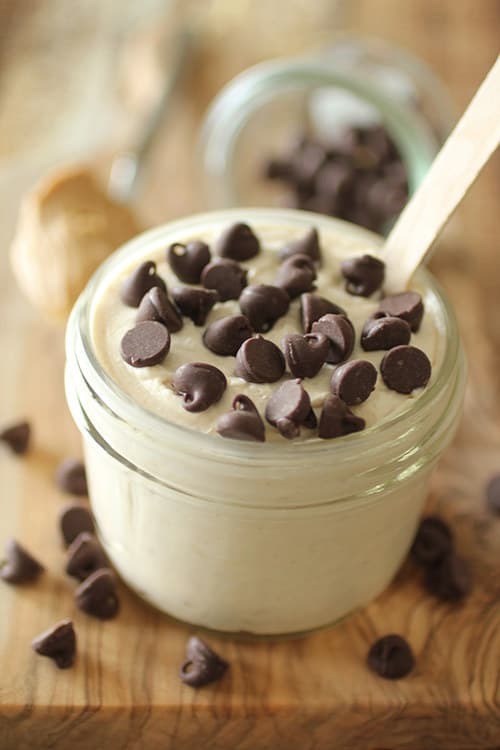 I thought it would be interesting to make a protein packed, high fiber pudding with it.” Recipe from Ancestral-Nutrition. “It’s time for the cutest, fastest, healthiest little chocolate mug cake you’ll ever see. This is the first mug cake recipe I’ve ever created and I have been making it over and over because it’s easy, tastes delicious–like actual chocolate cake–and is made with a protein powder that has a short list of ingredients that I pronounce (beef isolate, cocoa, stevia).” Recipe from FreshPlanetFlavour. 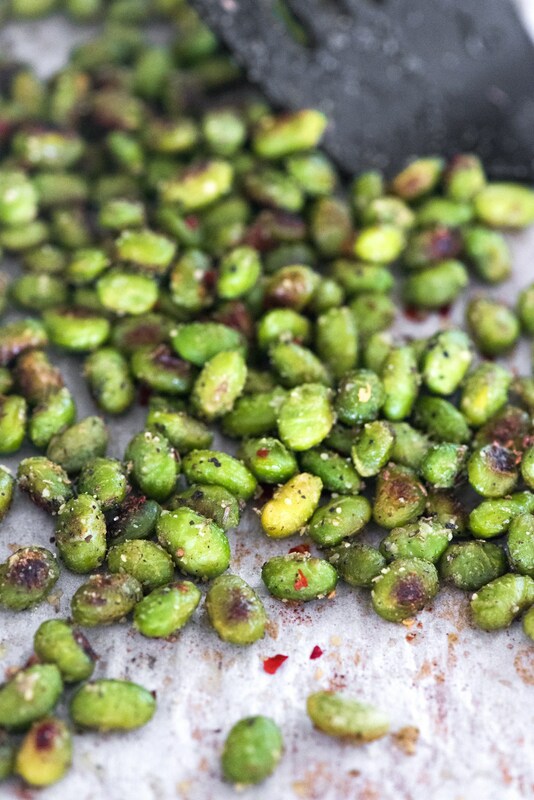 “This is one of my favorite go-to snacks! Greek yogurt is a wonderful snack because it is packed with protein, but some people don’t enjoy the taste. 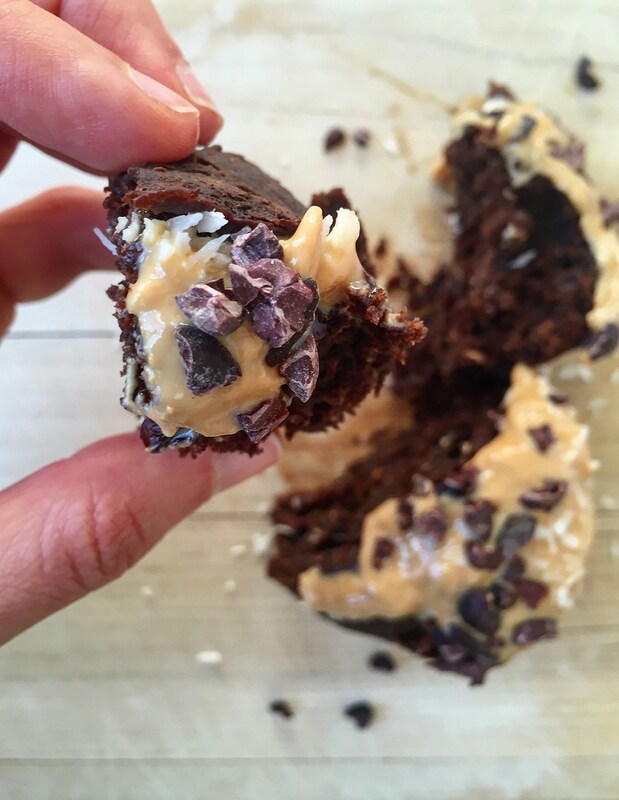 Well, this recipe may be a game changer for you if that’s the case!” Recipe from DashingDish. 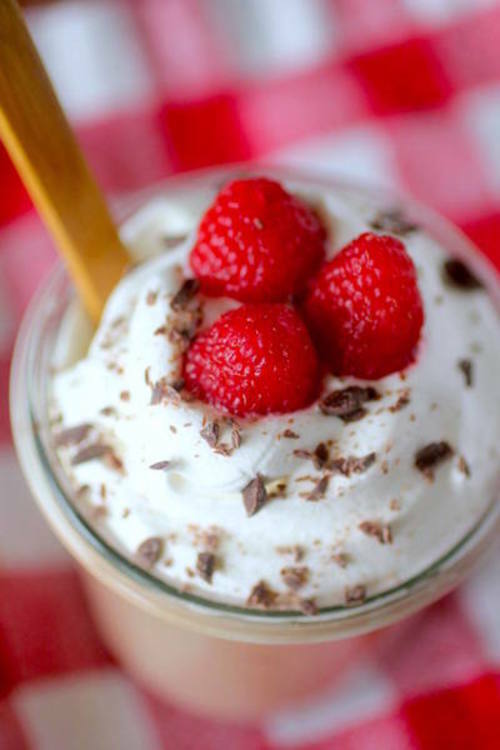 “This copycat Starbucks Vanilla Bean Frappuccino is a protein packed version of their creamy vanilla shake. Now you can save money, sugar, and unwanted calories with this homemade version!” Recipe from DashingDish. 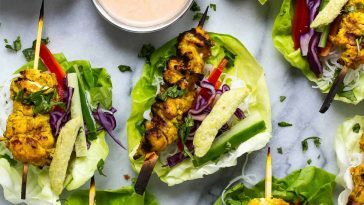 “These Easy Egg Wraps are perfect for a low-carb, high-protein snack. 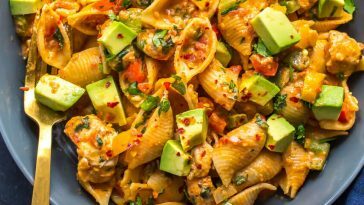 Make several ahead of time and fill with things like turkey, avocado, cheese, hummus and more.” Recipe from TheLeanGreenBean. “If you love Larabars like I do, then you must give these a try. They are a replica of the cashew cookie larabar. Now if you’re wondering why the heck you would want to make these at home if you can just go to the store and buy one, I’ll let you in on a little secret. They taste SO much better than the packaged ones!” Recipe from Ediblesoundbites. “And you know what’s great about them? 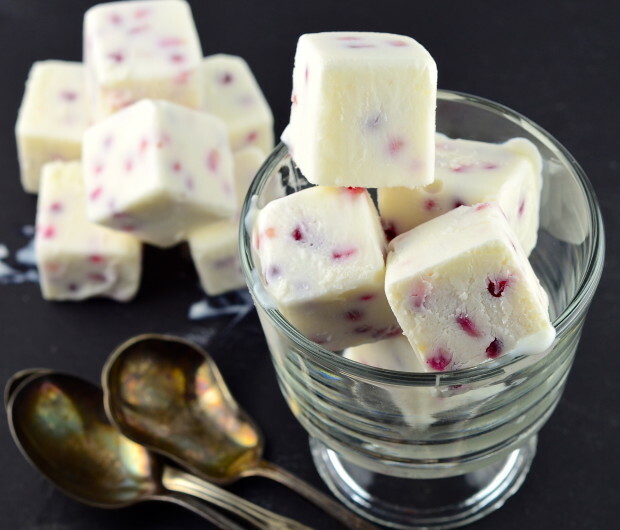 Even when the weather has another mood swing and it turns cold again, they’re fancy and pretty enough to serve at your Holiday dinner, as a light dessert you can enjoy by the fireplace.” Recipe from MayIHaveThatRecipe. 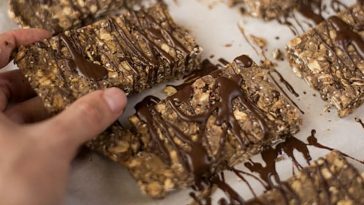 “These cinnamon oatmeal raisin protein bars taste like an oatmeal raisin cookie drizzled with dark chocolate. 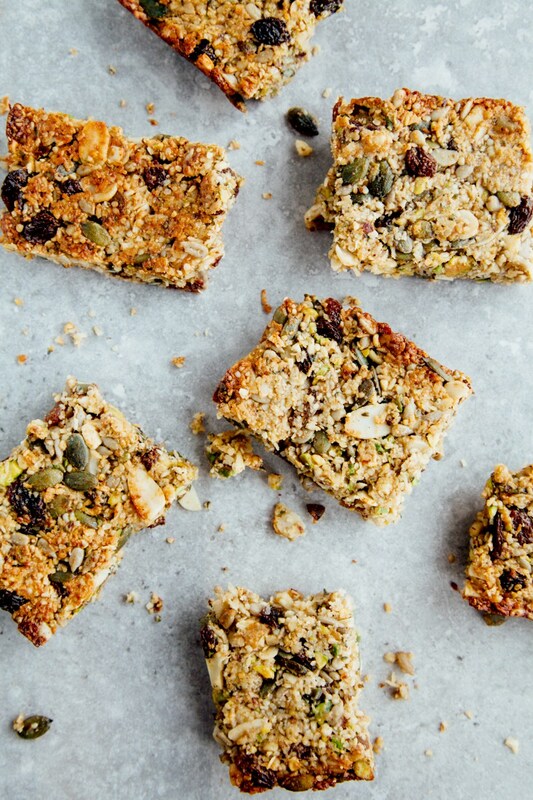 They’re great as a pre-workout snack and also make for an energizing on-the-go breakfast option for busy mornings.” Recipe from EatingBirdFood. “Greek yogurt bowls are one of my go-to breakfasts because they are so simple. Start with the yogurt, add fruit, add nuts or whole grains, something sweet, and you are ready to eat. 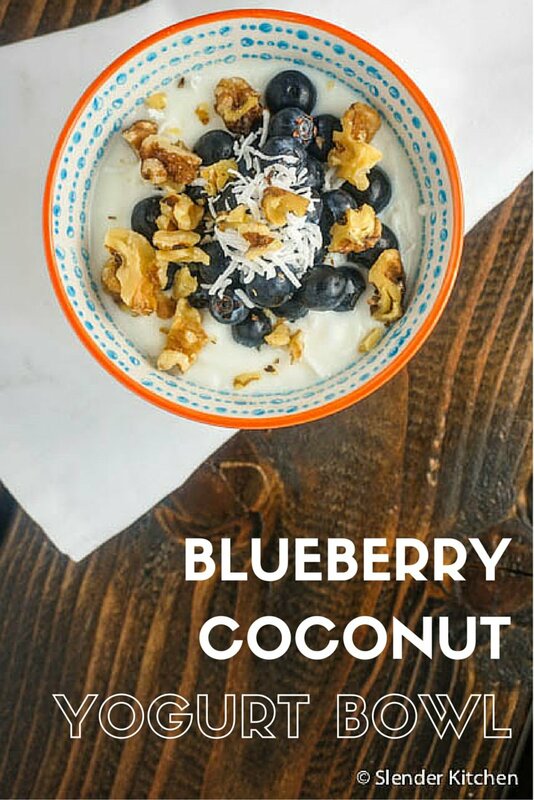 This bowl has a delicious combination of blueberries and yogurt paired with coconut and walnuts. Consider toasting the coconut and walnuts for extra flavor. 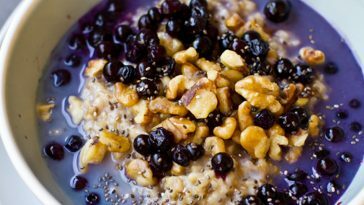 You could also add chia seeds, flax seeds, or experiment with different yogurt flavors.” Recipe from SlenderKitchen. “Just about everyone loves spinach dip, but what’s even better is spinach dip that is grab-and-go! 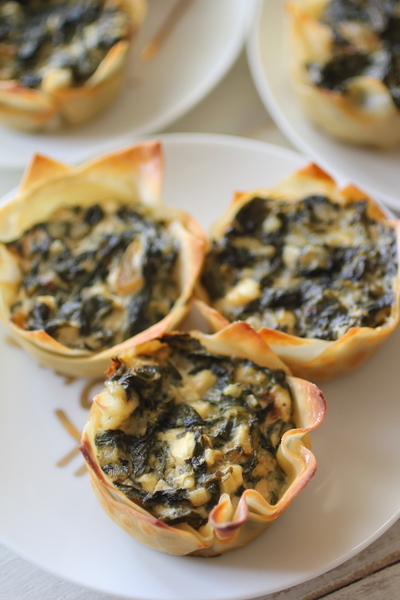 These Skinny Spinach Dip Cups make the perfect appetizer, snack, or side dish that is sure to please a crowd!” Recipe from DashingDish. 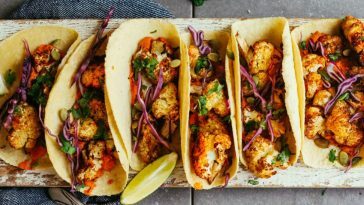 “This recipe is completely addictive with it’s crispy texture and cheesy flavor. 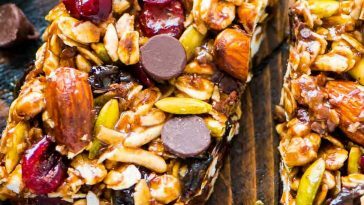 The best part is that, unlike many of its unhealthy snack counterparts, it leaves you feeling full and satisfied instead of greasy and somehow hungrier than when you started eating!” Recipe from Apple-Of-My-Eye. 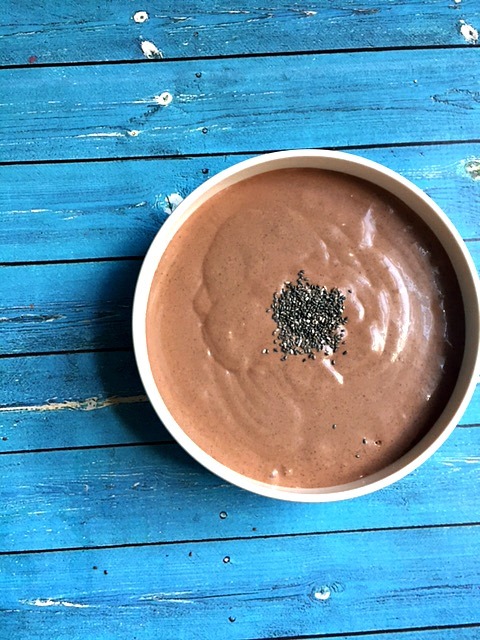 “This chocolate protein pudding is one of my all time favorite snacks! 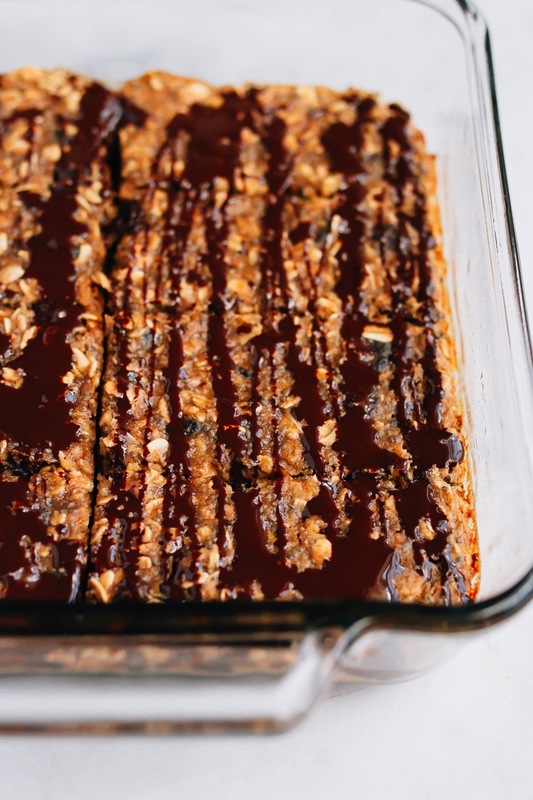 It is chocolatey, rich, and creamy, and packed with protein to keep you satisfied! 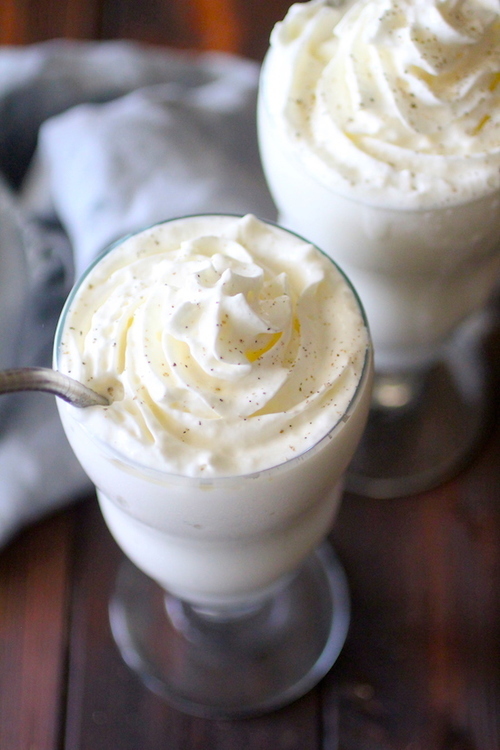 This pudding can even be frozen slightly, for a frozen yogurt texture! Enjoy!” Recipe from DashingDish. 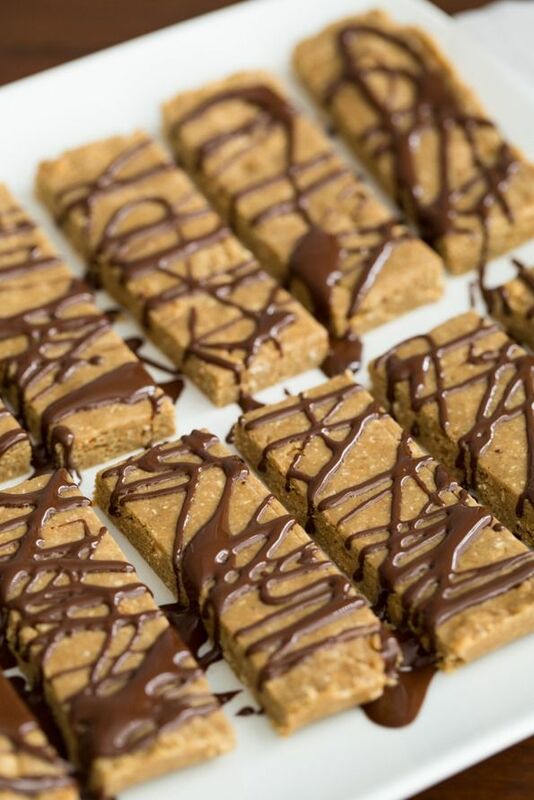 “Though I love peanut butter and chocolate together, I opted for a caffeine free and nut free version, just for kicks  I admit, these bars are quite addicting and were the perfect pre and/or post workout snack when I was needed something quick. 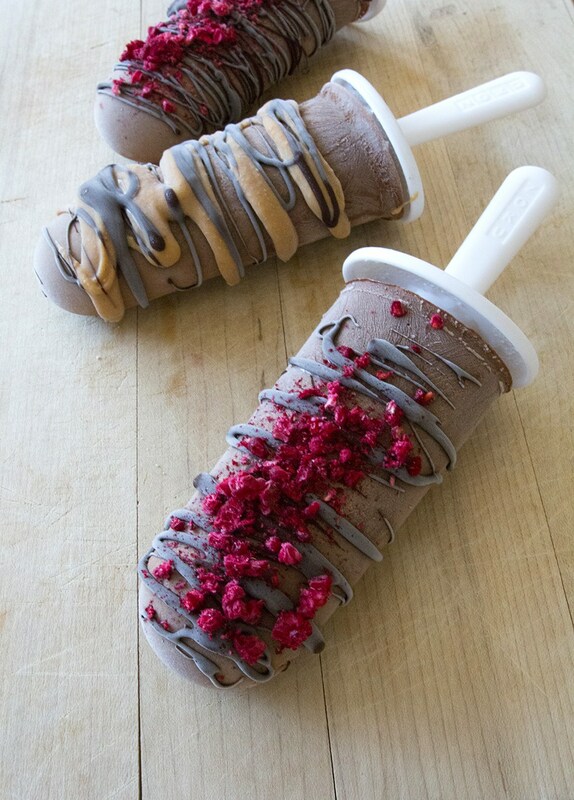 They taste SO, SO yummy.” Recipe from NaturalNoshing. Previous article Katie Gallagher Wanted A Revenge Body But Ended Up Changing Her Whole Life! Next article Ainsley Rodriguez’s Daily Diet That Gets Her In Crazy Shape!